Why visit Tarangire National Park? It is one of the best northern Tanzanian parks in the dry season (July-early November) when the park draws wildlife from miles around to the waters of its permanent river. It’s one of the best places in East Africa to see large numbers of elephants. 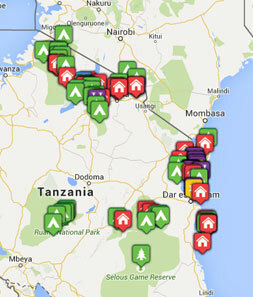 It’s only about 2 hours’ drive from Arusha so easily accessible if you only have a few days for a safari. It is less known and less visited than its more famous neighbours (Manyara, Ngorongoro and Serengeti) so you can get a much quieter safari here. 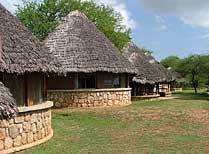 Walking safaris are allowed from two camps in the park (Oliver’s Camp and Swala). This is unusual in a national park. The unusual gerenuk and fringe-eared oryx are seen here. July to early November is when this park really comes into its own, and if you’re coming to the area at this time, you shouldn’t miss it. April and May are generally quite rainy, but much quieter and cheaper because of that. At other times it is never too busy and makes for a fairly uncrowded safari which, whilst perhaps not as fruitful as other parks in the northern circuit, can still be very good. A Tarangire safari: How to do it? It's only about 1Â½ hours’ drive from Arusha, though if you choose the luxurious camps in the quieter south of the park you might want to consider flying into the airstrip here. Many visitors only manage a cursory afternoon here, however we think it’s worth longer, especially in the dry season when two or more full days wouldn’t be bad idea. Unless you’re flying in to the southern camps, we recommend travelling here on a tailor made safari with your own private 4x4 vehicle and driver/guide. 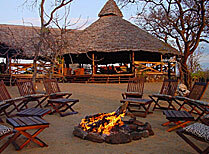 There are also some set departure group trips which include Tarangire. Tarangire has a good choice of places to stay within the park, and there are also additional options outside of the park boundaries. There are some larger, more family-friendly lodges (such as Tarangire Safari Lodge) but there is more choice in smaller tented camps or lodges (consider Maweninga, Kirurumu Tarangire Lodge or Maisha Kikoti). 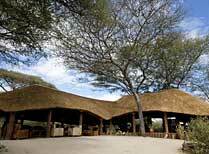 Top end places include Oliver’s Camp, Swala, and the unusual Tarangire Treetops which is built around ancient baobabs. Maisha Kikoti Camp is a small, traditonal safari camp on the edge of Tarangire with opportunities to learn about the Maasai way of life. 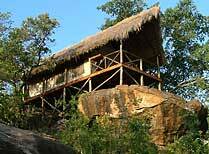 Kirurumu Tarangire Lodge is a comfortable tented lodge offering game veiwing, walking and trekking. 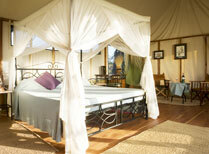 Maramboi Tented Camp consists of 30 spacious tents each with en-suite facilities and a private verandah. A Maasai-hosted tented camp in Tarangire with superb views of the Rift Valley, lakes and mountains. 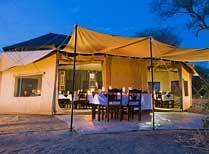 A small and friendly bush camp with luxurious furnishings deep in the heart of Tarangire. 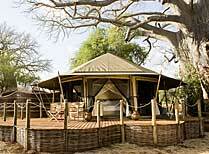 A lovely luxury tented camp in a quiet part of Taranagire National Park. 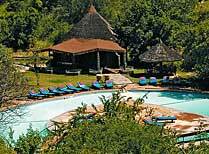 Tarangire Safari Lodge is ideally sited inside the park with amazing views over the river. 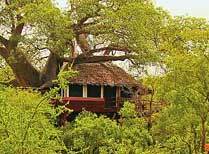 Tarangire Treetops consists of 20 huge thatched tree houses set on platforms amongst baobab, mopani & Wild Fig trees, designed to blend into their surroundings.